Take a drive down Eagle’s Old State Street, and the traffic alone makes it obvious that something is going right for Eagle businesses. We checked in with five shop owners in Eagle proper to give us a glimpse of what they were thinking at the beginning of last year and the progress they have made at the start of 2015. From strategic planning to marketing, here are some insights these successful businesses shared that might apply to your own economic endeavors. 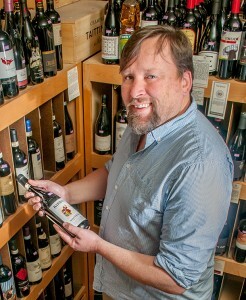 Erickson’s Fine Wines has become a fixture in the Eagle River business and commercial center. 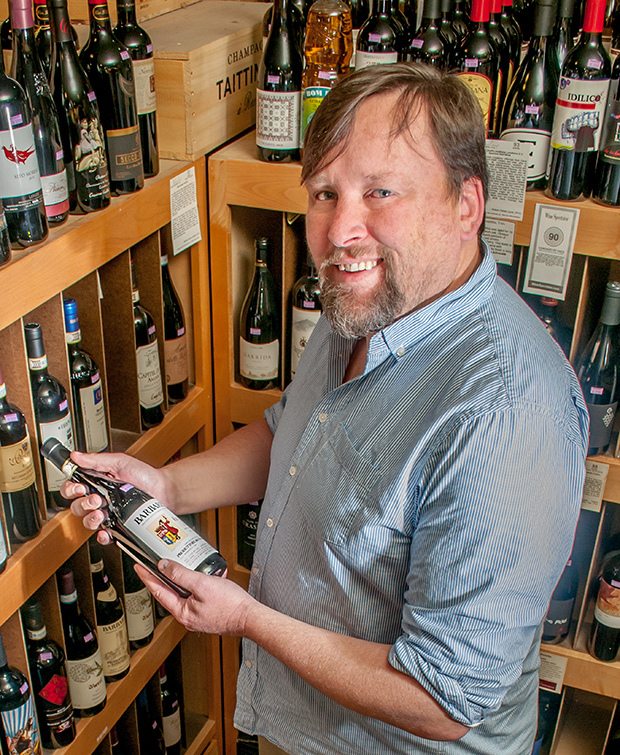 Specializing in wines that you aren’t going to find at grocery stores, the shop’s namesake, Brian Erickson, has built an enduring business by recommending wines that are matched to his client’s needs and tastes. A fourth generation Idahoan, he is probably the only such person to have earned both Court of Master Sommeliers and Certified Specialist of Wine certifications from the Society of Wine Educators. Always optimistic, he suggests that 2014 outperformed his expectations a bit. After several flat sales years, volume was up, in part due to a lot of new faces in his aisles. He finished off the year on a steady surge, so he remains encouraged that 2015 will see continued growth. Brian recognizes the potential for social media for a business like his. “As a business owner, I could probably use social media more effectively,” he admits. “Still, my monthly email newsletter, great customer service, and the word-of-mouth that comes from it have been my best marketing.” While first-time visitors might mistake his store for a “boutique” with inflated mark-ups, Brian is instead committed to offering wines for every taste and budget. “I’ve never had a ‘wine club’ because the way I operate, every day you visit I can find the perfect bottle for you rather than a wine club selection that has to fit everyone’s taste.” That sounds like a formula we can all drink to! The Gallery at Finer Frames is a nexus of sorts. 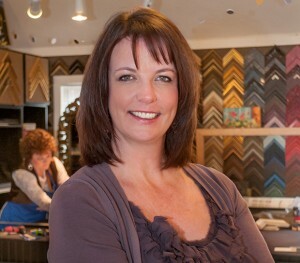 From her downtown Eagle location, Meg Glasgow operates a miniature business empire that revolves around art and framing. Have something special you want framed? Take it to Meg and select a frame for that original artwork ranging in quality and price from national wholesale suppliers all the way up to an artisan-crafted foundation. Do you want to know more about frame shops, how to start and run them, or maybe even how to start a small shop for any kind of related merchandise? 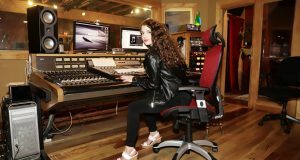 Then sign up for one of Glasgow’s teaching seminars where she offers advice and instruction gained from her many years of success in the industry. If you’re too busy to attend a seminar, you can read Glasgow’s forthcoming book, Recharge Your Business, a collection of insights from recent makeover projects she’s overseen as part of her business consulting practice for a major framing corporation. With so many accomplishments, it’s little wonder Glasgow had a successful 2014. “Although it was a little erratic and unpredictable on a month-to-month basis, overall, 2014 was a super year,” she says. The unpredictable variances differ from when she started the shop in 1999 and could count on predictable seasonal changes. As for marketing in the social media era, there are some interesting trends. “Good pictures on Pinterest or Facebook go a long way. It’s all about getting people to visit your website or come into the store, not so much about monetizing the online activity,” Meg explains. “The key is to pick a platform and do it well. By that, I mean be consistent, keep the quality high, and manage your image.” As for the gallery itself, sales growth is more incremental, although sheis seeing an uptick in corporate art sales as new commercial real estate comes on the market. With either segment of her shop, success comes from providing a high level of personal service and taking an artistic approach to everything she does. “I’m definitely not trying to compete with the big-box stores,” Glasgow says. Moving to Idaho within the last couple years, Shoua Thao brought almost two decades of salon experience to Eagle. She had always worked for someone else, but encouraged by her husband Troy, she opened a small salon in the same building as the Idaho Athletic Club last February. “I went with my gut and my first year has ended up way beyond my expectations,” says Shoua. And while it helps to have a presence in a busy location like the athletic club, she agrees that marketing is important. “Lots of people use social media to communicate and to see what is hot and not. It just really depends on what kind of market you are looking for: the young and hip hop vibe that uses social media, or are you focusing on a more mature crowd that is traditional?” As the new year begins, Shoua has remodeled the interior of the salon with brighter colors, new art on the walls and an overall fresh look that’s contemporary and tasteful. She hopes the face lift will grab the attention of more local traffic as well as create a more inviting atmosphere that will keep customers coming back. But the personal touch of an owner-operated shop is the key. “We are a small mom and pop family-owned salon and are not like the big corporations out there. We know our clients by name and treat every customer who walks in our door like family. Our goal is for you to walk back out that door and feel like a million bucks!” Shoua says. Wishing Well Botanicals is one of Eagle’s hard-to-find jewels. Tucked away in a white frame house behind Second Avenue Housewares and Consignment, Jamia Albright practices her well-honed design skills. 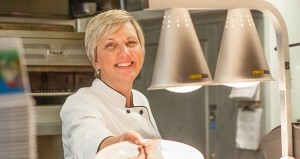 After more than 20 years working for someone else, she opened her own shop in early 2013. Her first year’s success took her a bit by surprise, and she took off for a couple weeks after her initial Christmas season to assess her results and goals for the business. 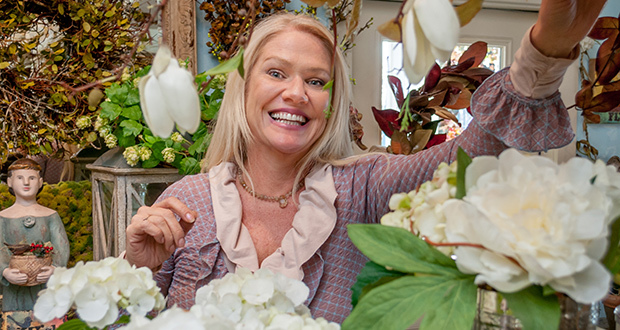 Opening to the public Tuesday through Saturday has allowed her to keep Mondays free for selecting her fresh flowers for the week and to focus on the development of corporate accounts. “I have several accounts throughout the Treasure Valley including The Village at Meridian where I will also be installing artificial plants for each lobby,” she cheers. Instantly recognizable as you drive down State Street, the Bodacious Pig van has been a great way for owners Tricia and Joel Anderson to connect with Eagle and the Treasure Valley. “I’ve had people look over and see me getting out of the van and yell across the parking lot at the Village in Meridian, ‘We love your barbecue!’ You can’t measure that in dollars,” gushes Tricia. 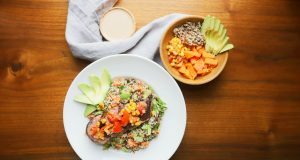 While these newcomers to Idaho had high hopes for the restaurant, the catering business was the surprise of their first year. It’s a way to connect with new customers across the valley that might not otherwise find them. 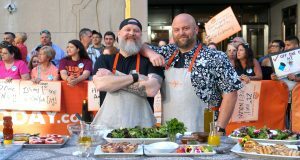 Having had the food at a company function or public event, the converted make a point to travel to their Eagle location for more of what the Andersons tout as the freshest and best barbecue in Idaho.